Land Rover Monmouth has a great selection of pre-owned vehicles. Now is the time to save with Land Rover Monmouth's new vehicle specials. 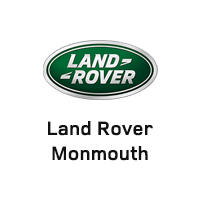 Located in Ocean Township, Land Rover Monmouth is home to an astounding lineup of spacious Land Rover SUVs, featuring rugged drivetrains and real-world fuel economy. Drivers from Asbury Park, Long Branch, Middletown, Eatontown, and Red Bank are welcome to check out the latest SUVs from Land Rover. As a full-service dealer, we also specialize in financing and leasing, auto service, and factory-issued parts. Every aspect of our dealership operates with the Land Rover motto in mind: “Above and Beyond”. Here at Land Rover Monmouth, we make finding a new Land Rover easy and rewarding, whether you have your sights set on the Land Rover Range Rover, Land Rover Discovery Sport, or Land Rover LR4. With military and motorsports roots to its name, Land Rover is the refined, capable, and safety-first brand you want in your corner during your on- and off-road adventures. If you’re shopping for a vehicle on a budget, be sure to browse through our selection of certified pre-owned Land Rover SUVs and used vehicles from other top manufacturers. From helping you choose a vehicle, to getting you financed, our Land Rover experts are here to facilitate your purchase. As part of Penske Automotive Group, we go the extra mile to find a workable, affordable solution for customers with all types of credit scores. Our customer testimonials speak volumes as to our willingness to put car shoppers’ needs first. Be it traditional financing, Penske Premium Leasing, or giving you a fair price on trade-ins, we’re your source for customer-focused financing in northern New Jersey. Land Rover Monmouth is much more than a supplier of the newest Land Rover vehicles; we’re your one-stop-shop for certified auto care and OEM parts. Our service technicians tackle simple and complex repairs and maintenances with expertise and state-of-the-art tools. Our available Prepaid Maintenance Plan keeps your Land Rover in pique condition, and can save you up to 25% versus pay-as-you-go auto care. To save time, use the Quick Appointment option to schedule service online from the comfort of your home or office! If you have questions for the team at Land Rover Monmouth, feel free to contact our sales department (877) 672-8810 or service center (877) 673-7122 for answers! Look for our dealership at 807 NJ-35 in Ocean, NJ. We’re conveniently located just a half an hour or less from Asbury Park, Middletown, Red Bank, Eatontown, and Long Branch.